A wildfire fueled by strong winds raced across communities in the Sierra foothills parts in Northern California on Thursday, sending thousands of residents fleeing for their lives, authorities said. The fire, which was dubbed the Camp Fire, started near Camp Creek Road in Butte County, north of Sacramento, and spread rapidly, fueled by strong winds, fire officials said. 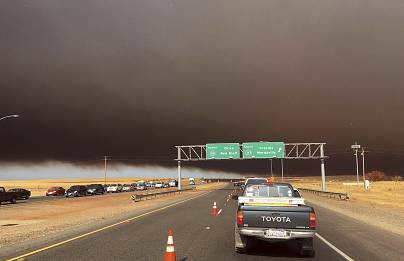 Its size had more than doubled to more than 18,000 acres, and it was at 0 percent containment, fire officials said Thursday afternoon. No deaths had been reported, but Captain John Gaddie of the California Department of Forestry and Fire Protection, or Cal Fire, said that an unknown number of people had been injured and that some structures had been destroyed. "It's a critical rate of spread," Gaddie told NBC affiliate KIEM of Eureka. "The fire is creating its own weather." 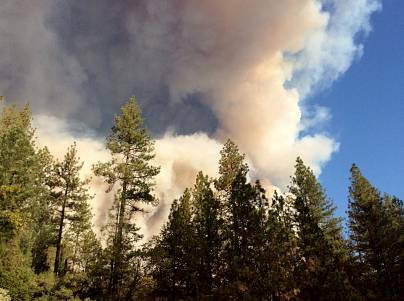 Residents in the small towns of Pulga and Paradise, about 90 miles north of Sacramento, were told to evacuate on Thursday morning. 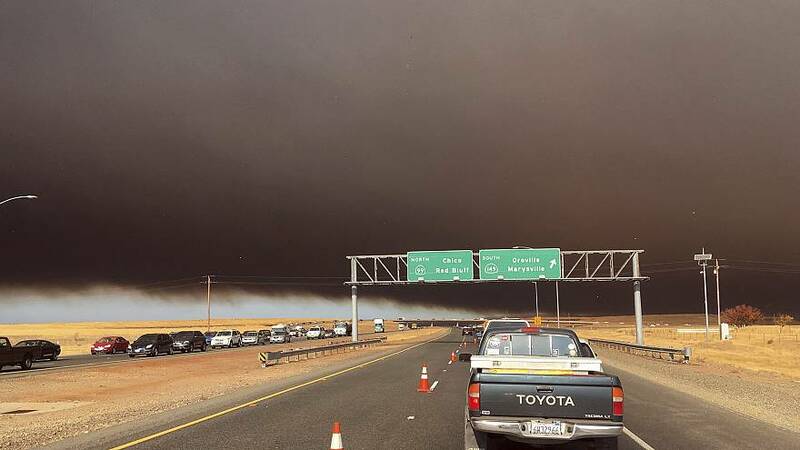 By the afternoon, residents of Magalia, Concow, Butte Creek Canyon and Butte Valley had also been told to leave — more than 20,000 people in all, including all patients at Adventist Health Feather River Hospital, the hospital confirmed. By mid-afternoon on Thursday, more than 34,000 customers in Butte and Plumas counties had been left without power, utility agencies reported. The California Highway Patrol reversed northbound traffic on State Highway 99, diverting all vehicles southward from Skyway. Kevin Winstead of Paradise fled town Thursday with his family — who had been set to move into a new home in nearby Magalia on Friday. "We're just hoping that our brand new home that we were hoping to move into tomorrow is not burned to the ground," Winstead told KIEM. "We're kind of all shaking right now." "The whole lower side of Paradise is totally engulfed in flames right now," he said. "All of it is engulfed in flames right now. Not one home will be left standing. I'm devastated."